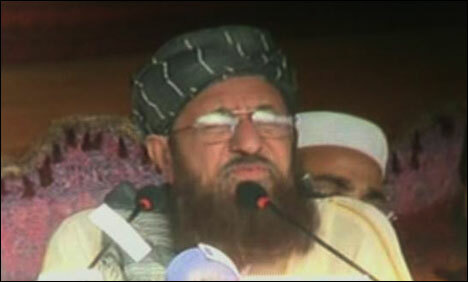 AKORA KHATTAK: Jamiat Ulema e Islam-Sami (JUI-S) Chief Maulana Samiul Haq has said that those people who are calling for military operation to cope with militancy are “enemies” of the country. Addressing a public gathering here Sunday, Maulana Samiul Haq said that if the government, the military and the media are on same page then Maulana Fazlur Rehman and he himself would also join them. He said that the whole world does not want peace in Pakistan and the real issue is the restoration of peace in the country. Sami further said that Bharatiya Janata Party (BJP) is going to assume power in India while new government would also be set up in Afghanistan soon. He said the Pakistan army is our defender, however, he said those calling for military operation are enemies of the country.